japanese and french did it.. so why can’t we? 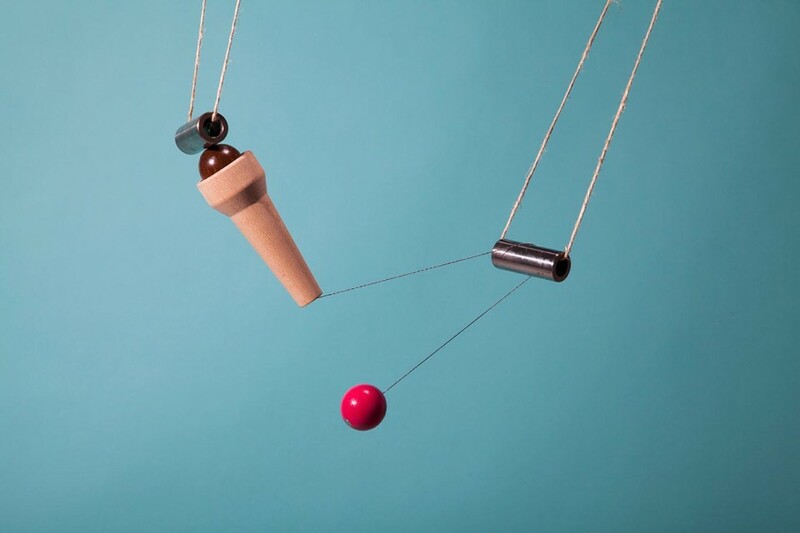 In the 16th century French invented the Bilboquet (literally ball with little tree) and soon after Japanese Kendama came. We are not sure about who really invented it first. What we care about is: what would it have happened if Italians made their own version too? Well, Bigusto can be the delight of kids and adults as well, but not for long.. It looks like an icecream, but behind a chocolate and srawberry ball hides the challenge. Originally bilboquet has one ball with a hole and placing the pin in the hole can be a very tough challenge. But what if we have 2 balls connected with each other and we also have magnets? The game provides the chance to exercise on 8 different moves: ball in the cone, ball over the other one, and so on.. Kids and adults can start from the easiest and gradually go to more complex ones, the ones that exploit the power of magnets, where a very good control of the cone and the ball is not easy to reach. This lets the game be played at different levels, and this makes it not only more inclusive and less frustrating at the beginning, but also very engaging long in time.